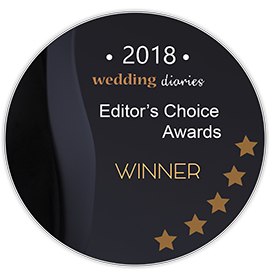 EDITOR'S CHOICE: We've handpicked the best of the best beach wedding venues Melbourne has to offer to help you pick the right one for your big day! What’s more romantic than saying “I do” to the love of your life on a pristine beach, with views of sparkling blue waters that are reflecting a gorgeous sunset? There are so many beautiful beach wedding venues in Melbourne, and we’ve curated a list of our top ten favourites. The lovely Port Phillip Bay and Mornington Peninsula have some of the best beaches in the world, and you can find wedding venues that will suit your specific style—whether it’s laid back and boho, or elegant and classy. In St. Kilda, Victoria, you can find an absolutely stunning beach and waterfront wedding venue. Port Phillip Bay provides a gorgeous backdrop for an outdoor ceremony and for your wedding or bridal photography. This space is great for both small and large wedding parties, and those brides who have their wedding planned down to the last detail will love that this space offers fully customizable menus for wedding receptions. Located ideally for gorgeous views of Port Phillip Bay, the Yacht Squadron in Beaumaris, Victoria, is also ideal for your beach wedding venue. They offer more casual cocktail wedding receptions, as well as formal seated dinners, and ceremonies can be held on the lawn, which overlooks the pier. Reception packages begin at $130 per head, and includes a 3-course menu, private room, and linens. Ceremony hire is $600 and includes 40 chairs for your guests, and a white wedding arch. More of Port Phillip Bay can be enjoyed from the Riva St. Kilda in Elwood, Victoria. With palm trees everywhere, you’ll feel as though you’ve escaped to a tropical paradise, and your wedding guests will love cooling themselves in the private courtyard off after dancing the night away. You can opt to hold your reception in the dining room, Marquee Room, or on the deck, and food is catered by the restaurant. This hotel in Brighton, Victoria is one of the most sought-after wedding venues in Melbourne—beach venue or otherwise. They’ve won multiple awards, and they somehow manage to mix together the calm and boho with the modern and luxurious. The Savoy offers in-house catering for small and large wedding parties, with on-site ceremonies available as well. Don’t forget to snap some photos in front of the famous and brightly coloured bathing boxes! Another classy hotel and beach wedding experience can be found in Portsea, Victoria, where you can enjoy lovely views of the waters and the Mornington Peninsula. You can also opt for a garden ceremony, or a ceremony on the lawn. Of course, accommodations are available in this historic hotel, and your reception can be held in the Nepean Room or the Portsea Deck. Beautiful Half Moon Bay in Black Rock, Victoria, is home to a lovely waterfront wedding venue that offers some of the best seafood in Australia. This venue is for smaller, intimate wedding parties, and great for pop-up weddings or elopements. They have a dedicated coordinator who will help you plan all the details, and their lunch and dinner menus can be customized to fit your wishes. Packages start at $150 per head. You can host a wonderful mid-size wedding ceremony and cocktail reception at Sandbar in Middle Park, Victoria. You can hire the space exclusively, meaning you don’t have to share the venue with other brides or visitors. With its whitewashed walls and ceilings, floor-to-ceiling windows, and light wood furniture, there’s a feeling of serenity and calm that’s perfect for a wedding. This venue is great for those brides and grooms looking for something a little more casual and laidback! A great waterfront wedding venue can be found in Port Melbourne, Victoria, where you and your guests can enjoy fantastic views of Port Phillip Bay. Their team of event coordinators and chefs are very experienced, so you can be sure they will deliver a hiccup-free experience. They also offer additional items for hire, such as wedding arches and flower walls. There are four spaces available: the dining room, lounge, Sunset Room, and Waterview Room. Port Melbourne, Victoria is home to a gorgeous dock and waterside wedding venue. If you and your spouse to be are foodies, this is a great choice! After saying “I do” in front of the waters or under the gazebo, enjoy the delicious food catered by a chef who has worked in Michelin-star restaurants. At packages beginning at $100 per head, this reception space is very affordable. Another great Elwood, Victoria beach wedding venue is Elwood Bathers, which is close to both Melbourne and St. Kilda. The food is locally sourced, and reception packages start as low as $70 dollars for set sharing menus, or $110 for a 3-course dinner. Also, they have a lovely new function room that is great for mid-sized wedding parties, as well as a private room ideal for intimate events. Summer beach weddings in Melbourne are a great idea, since it’s quite warm and the area experiences little rainfall during these months. 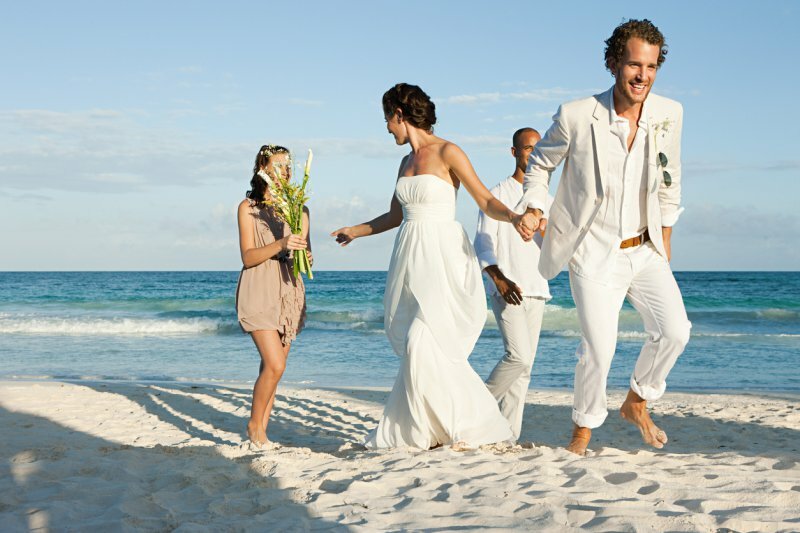 You don’t have to go to the Sunshine Coast for a great beach wedding, Melburnians! Stunning beach wedding venues are just minutes away from the city, and guests who are flying in will be able to attend easily, since the international airport is just a half hour away from the city centre and most hotels.